Home > Djynamo > We’re Waiting for You at Our Youth Construction Camps! We’re Waiting for You at Our Youth Construction Camps! Are you between 18 and 30? Would you like to meet other people your age? How about learning more about ATD Fourth World? Bring your hands and, more important, your life experiences and participate in a spring or summer youth construction camp! 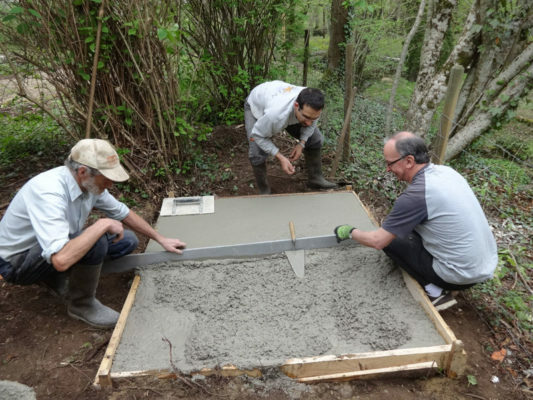 They take place at ATD’s international centre located in Méry-sur-Oise, 35 kilometers from Paris or La Bise Family House in the Jura area of Eastern France. You will help with the upkeep of ATD’s the international centre so it can continue to welcome and train activists working to overcome extreme poverty. The centre is also used by Volunteer Corps members recharging their batteries and taking a step back to think through daily activities in the neighbourhoods where ATD works. 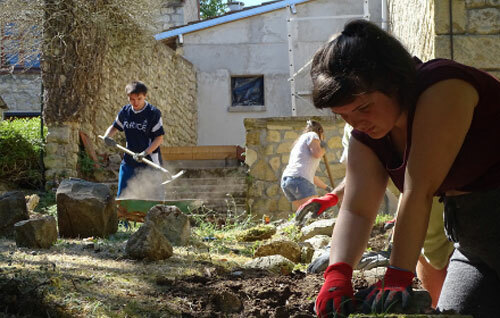 The work camp will do manual labour such as excavation, masonry, painting, and maintaining green spaces. Professionals will be on hand to help everyone to learn new skills. In the evening, there will be discussion groups and videos on extreme poverty around the world and ways to overcome it. Participants will hear from ATD activists who have experienced poverty themselves. Working knowledge is French, Spanish or English is desirable. Méry-sur-Oise (Val d’Oise), 35 kms North-West of Paris, France, accessible by train from the central Paris train station ‘Gare du Nord’. How much does it cost? We ask participants to pay a participation fee of approximately 10€/day for food and lodging, 7€/day if you bring your own tent. Contact us for exact rates for your country. Reduced rates are available in case of financial difficulty. Round-trip travel to from your home is at your own expense.